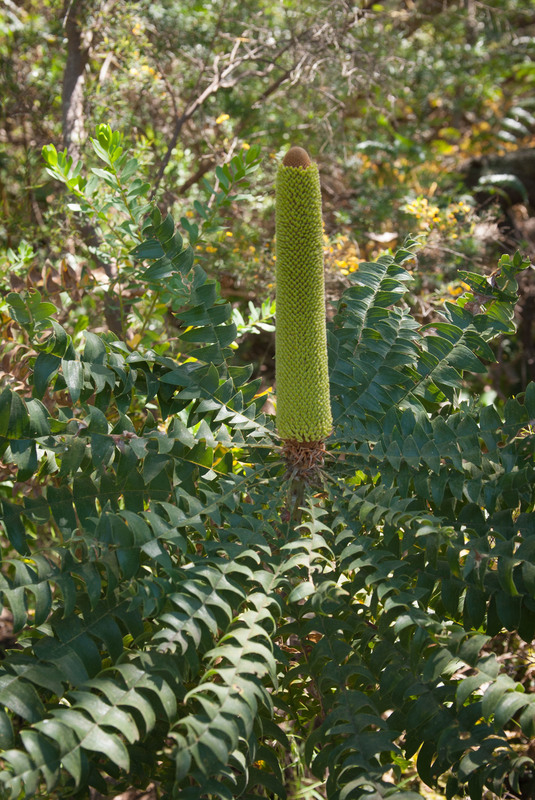 HideAway Haven has an amazing variety of native shrubs and bushes in our garden. In 2009 we won 'Best Commercial Garden' because of our Eucalyptus Trees and the way we blend into the bush. 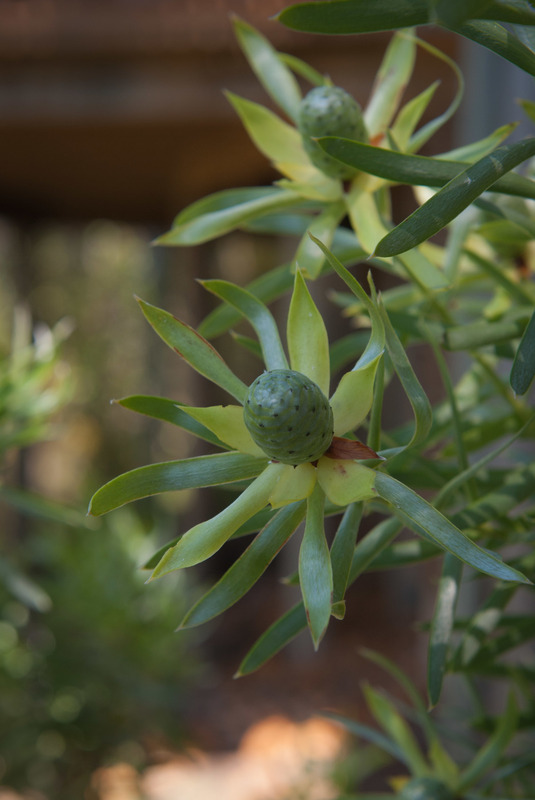 We have an amazing variety of native shrubs and bushes in our garden. In 2009 we won 'Best Commercial Garden' because of our Eucalyptus Trees and the way we blend into the bush. As you drive down our street, you could be travelling in any suburb. 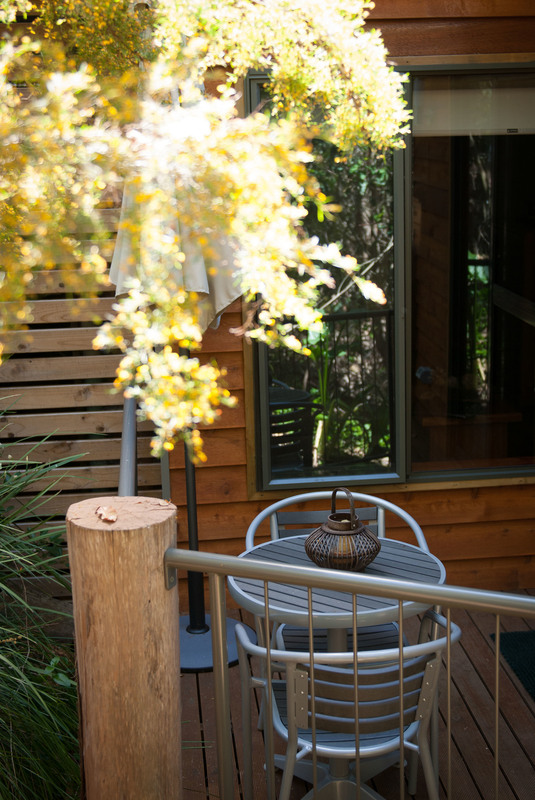 HideAway Haven is tucked away at the end of a cul de sac and nestled in amongst the trees and bushes. An awesome experience awaits you as you walk down the stairs into the Haven where only the 'e' is missing. 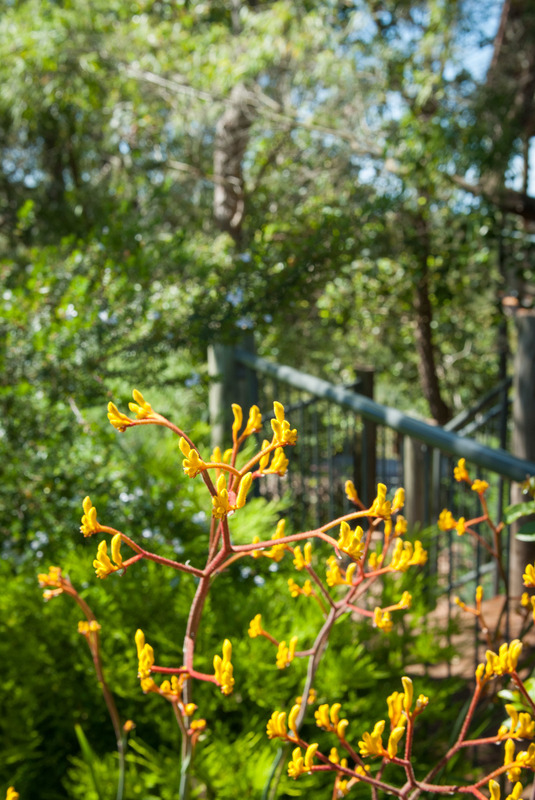 Bring your camera and meander through our beautiful gardens while taking photos, then relax on your deck, take in the views and watch the many varieties of birds that play down below. Our garden is a retreat from the demands and pressures of travelling and the stresses of life and our visiting birds add moments of delight to our garden haven. Watching the birds play their part in our garden by pollinating and spreading seeds brings so much enjoyment and pleasure to our ‘HideAway’. Native birds are attracted to red and yellow flowers, so we have lots of those as you can see in the photos. We have plants that flower at different times of the year, have plenty of water for them to bathe in and a feeder hangs in the tree with just enough seed to attract them.